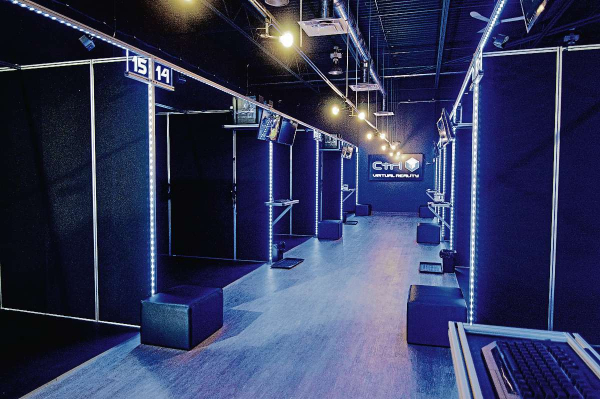 WATERLOO, ON, Sept. 4, 2018 /CNW/ – Ctrl V, North America’s first and largest virtual reality arcade chain, today announced its monthly Free VR Demo Day, a brand new initiative with the goal of increasing awareness of (and access to) virtual reality technology. Starting September 5th, 2018, Ctrl V locations across North America will provide free 20-minute virtual reality demos on the first Wednesday of every month. Customers will have the option of playing two of the most popular VR experiences, “Beat Saber” or “Space Pirate Trainer”, in addition to a third featured game option that will change every month. Demos will be provided on a first-come, first-served basis and will receive support from staff throughout the experience.